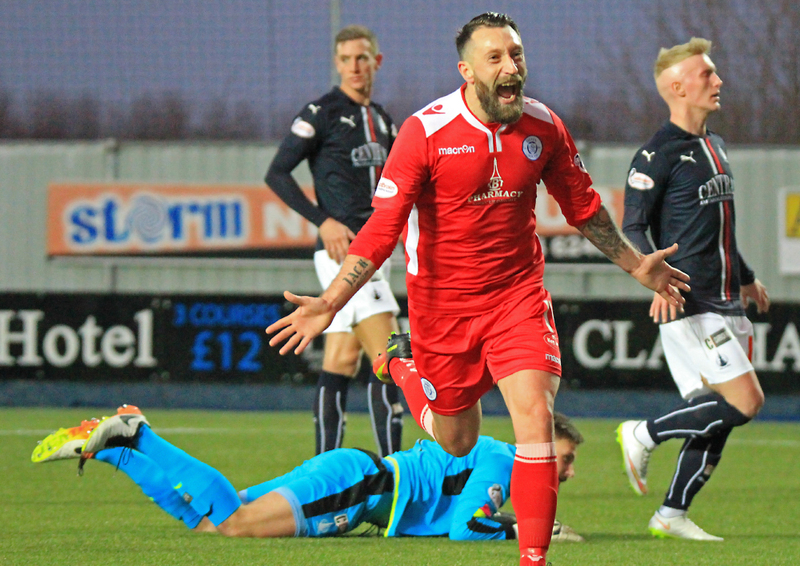 Stephen Dobbie`s first hat-trick since 2009 helped Queens on their way to a simply fantastic 4-1 win at the Falkirk Stadium. 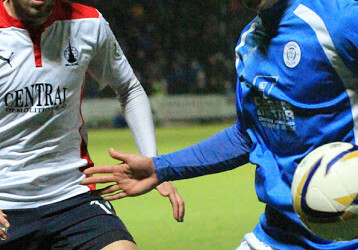 Queens made two changes to the side who recorded their second victory of the season against Dumbarton. Callum Tapping and Jason Kerr came into the side for Shaun Rooney and Dan Carmichael, both missing out due to injury. For the second week running, Queens` opponents were forced to make a pre-match change. Central defender Paul Watson entered the starting eleven for veteran Peter Grant, who pulled up during the warm-up. Ex-Queens men Robbie Thomson and Alex Harris both started for Peter Houston`s underperforming side, with Mark Kerr on the bench. 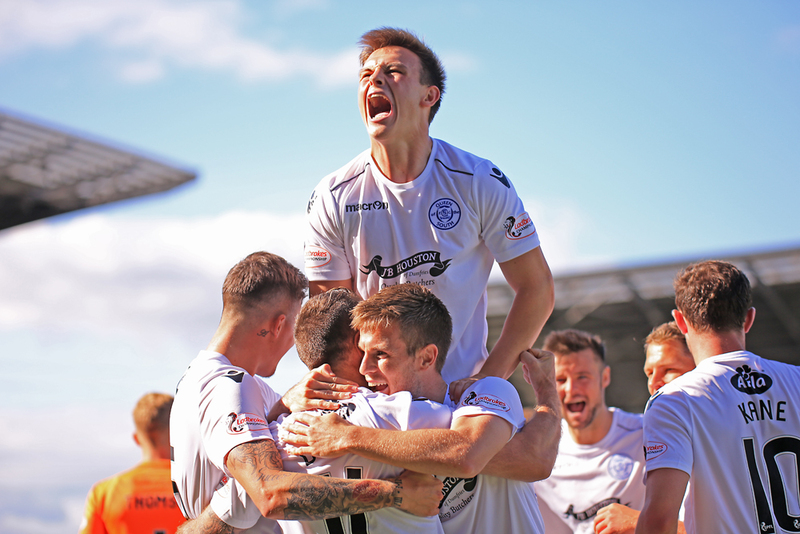 It was Gary Naysmith`s men who took the game by the scruff of the net in the opening seconds when a deep corner from Callum Tapping was headed goalwards by Darren Brownlie. On-loan St Johnstone defender Kerr headed home from six yards to give the Doonhamers a dream start. 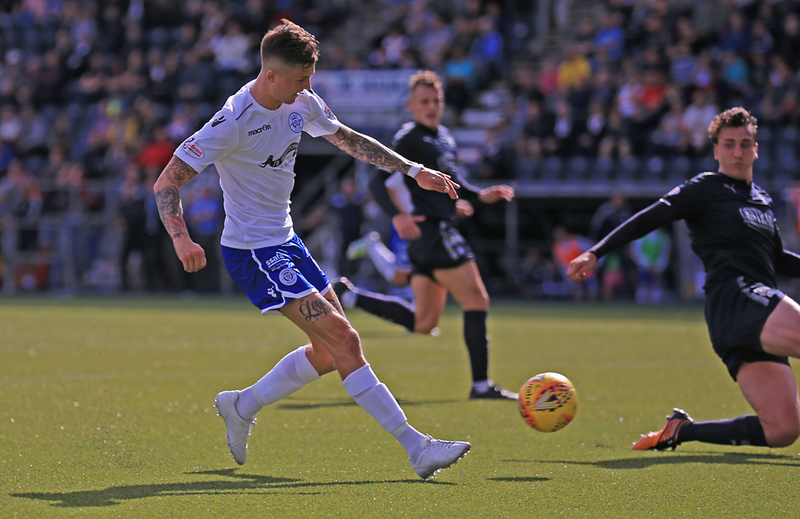 The confidence from the hosts, who were one of the title favourties before a ball was kicked, looked rock bottom and could`ve been two behind early doors when Dobbie`s fierce long range effort caught Thomson by surprise but the keeper did enough to turn the ball out of play. Queens continued to put pressure on the hosts and on 18 minutes Tapping, used his skill and pace to breeze past three defenders but failed at the final hurdle and dragged his shot wide. 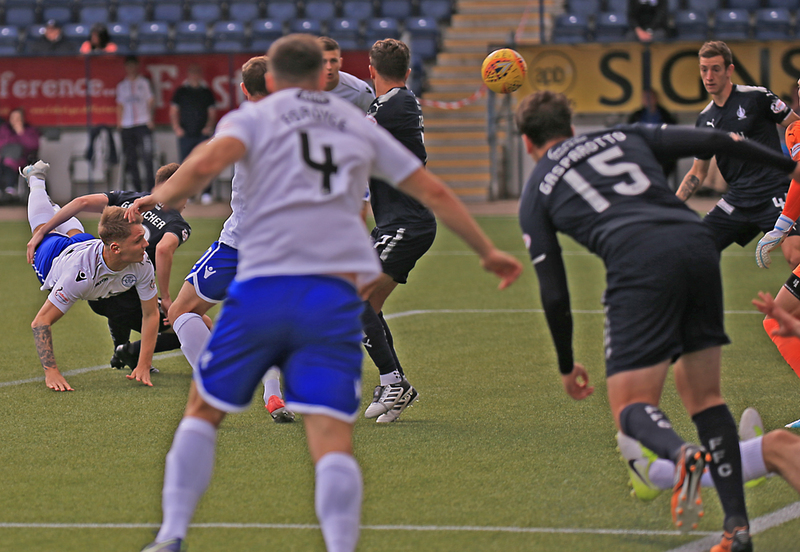 Falkirk didn`t look at the races and on the half-hour mark Dumfries born striker Rory Loy had the best chance of the first half when he headed over from eight-yards. Naysmith`s men had a glorious chance to double the lead when a counter attack broke with Lyndon Dykes and slipped Tapping in but the midfielder`s shot was saved by Thomson. Queens finally got their reward for their dominance when Tapping won the ball on the right, laid to Dykes and the youngsters cross was tapped home by Dobbie. A superb move from the Doonhamers. Referee Colin Steven blew for the interval and the Falkirk fans made their feelings heard, with a chorus of boos, whilst the players walked off the pitch. The hosts made an attacking change for the start of the second period. Striker Nathan Austin brought on for Jamie Craigen. They would have hoped to grab a lifeline into the match but it was the opposite when Dobbie, after 30 seconds from the restart, curled a simply sensational strike from 20-yards into the top corner. No keeper on planet earth would a stand chance. 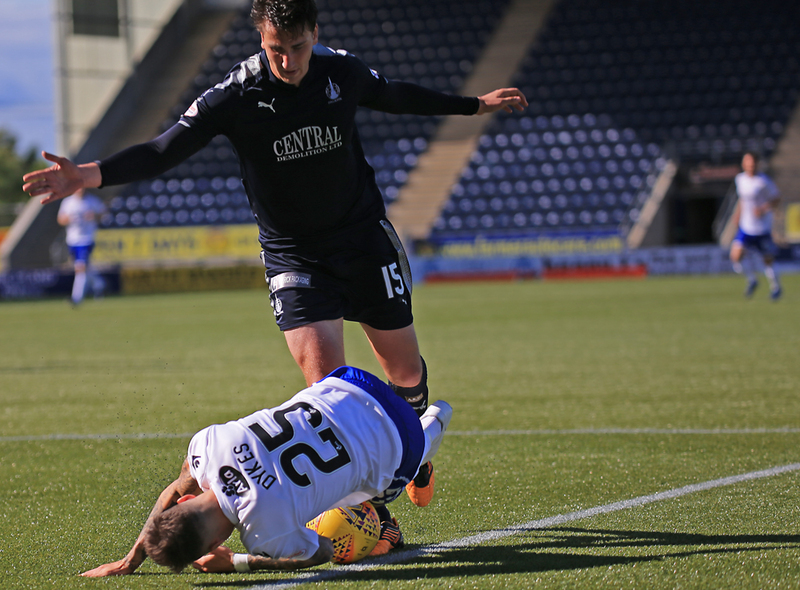 It got bad to worse for Falkirk when Lyndon Dykes was pulled down by Gasparotto and the referee had no option but to point to the spot. 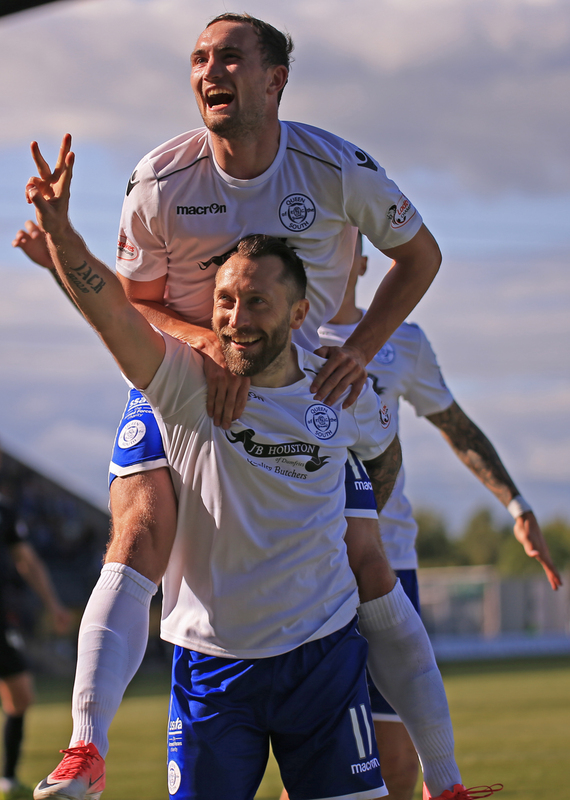 Dobbie stepped up and made no mistake, sending Thomson the wrong way to complete an eight minute hat-trick to the delight of the 265 travelling support. There were very little chances for both sides until at the death when Gasparotto nodded home. 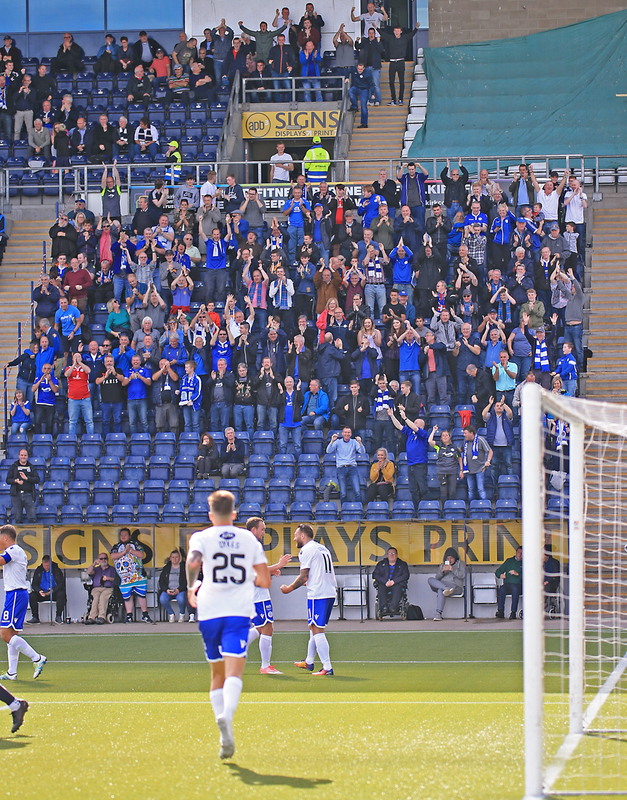 FULL TIME FALKIRK 1-4 QOS. It was a superb result for Queens who climb to second in the Championship and Dobbie now up and running in the Championship scoring. Next up for Queens is a trip to Berwick Rangers in the Irn-Bru Cup. 14:30 Falkirk; Thomson, Muirhead, Grant, McKee, Taiwo, Gasparotto, Harris, O`Hara, Gallacher, Craigen, Loy. 14:34 Our last two visits to Falkirk ended in 2-2 draws. Queens will hope to get their first away points on the board this afternoon. 14:34 Former Queens goalkeeper Robbie Thomson and winger Alex Harris starts for the Bairns. 14:54 Change to the Falkirk team due to a pre-match injury. Paul Watson replaces Peter Grant. 15:00 Queens playing in white this afternoon, I presume now our third choice kit. 2 min Tapping`s corner is headed goalwards and Kerr nods home his second goal of the season. 5 min Dobbie`s fierce long range shot catches Thomson by surprise but does enough to get the ball out for a corner. 6 min Been a superb start to the match from the Doonhamers. 17 min Great individual skill from Tapping, breezing past the defence but he dragged his shot wide. 19 min Dobbie`s low 40-yard free-kick goes narrowly wide. 28 min Loy`s header goes inches over the bar. 28 min Best chance of the afternoon from the hosts , who are starting to come into the game now. 37 min Tapping`s shot is parried wide by Thomson. Great chance to double the lead. Half Time Queens go in 2-0 up thanks to goals from Kerr and Dobbie. The home support making their feelings heard as the players go down the tunnel. Half Time Falkirk make an attacking change before the second half starts. Nathan Austin on for James Craigen. 46 min Oh my god, what a goal. 48 min Rankin`s effort flies wide. 48 min Penalty to Queens. 49 min Dykes is fouled in the box Dobbie to take for his hat-trick. 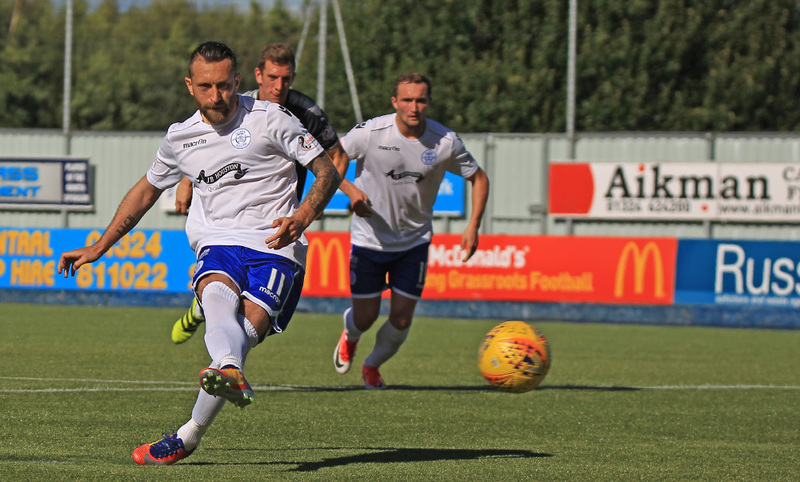 50 min It`s four, Dobbie completes the hat-trick with the pen. The Queens fans beside us in the press box signing their heroes name. 52 min Oh nearly forgot. #talkdobbietome wooooooo. 4-0 Queens. 56 min Muirhead`s shot is deflected over for a corner. 61 min Harris` shot flies over the bar. 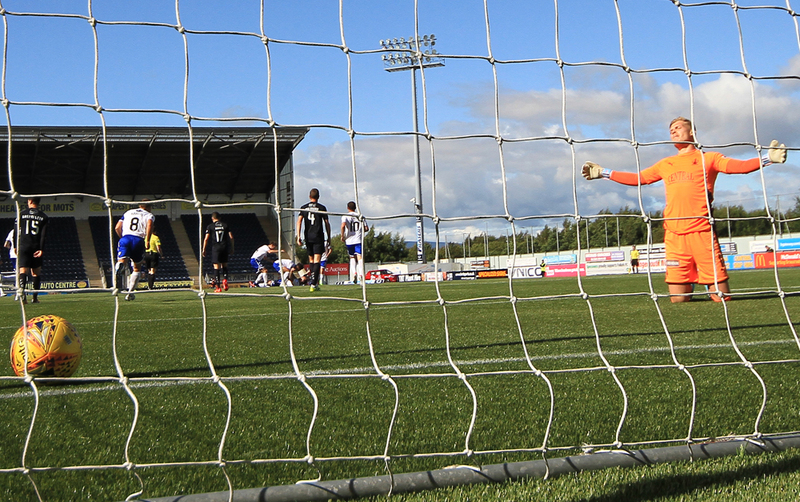 65 min Dobbie`s delivery in the box is well held by Thomson. 70 min Dykes cautioned for a foul on Muirhead. 85 min Marshall is fouled just yards out of the box. 86 min Lyle`s free-kick goes over the bar. 88 min 265 Queens fans here today in the Falkirk Stadium. 90+1 min The defender pulls one back at the death for the hosts. 16:49 What a result. 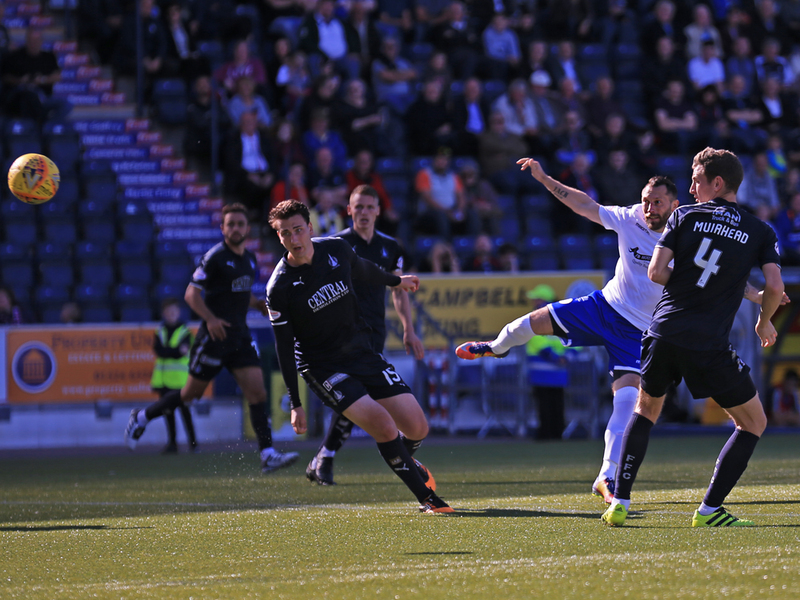 A hat-trick from Stephen Dobbie and an early Jason Kerr header helps Queens onto a 4-1 victory against Falkirk.